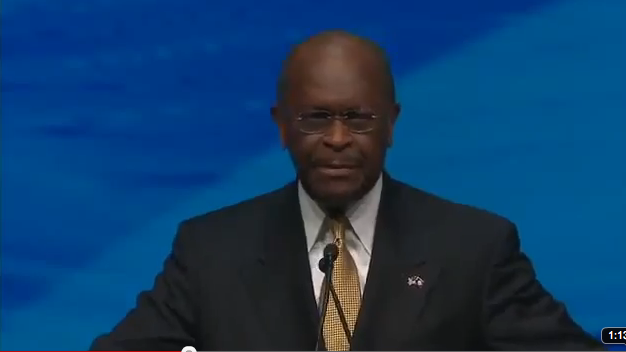 Apparently Herman Cain – the Dialinator! – has been making robocalls all over this great land of ours, and in Massachusetts as well. Because the Missus has been getting five or six calls a day from the Cain campaign, which she wisely has ignored. Herman Cain blah blah blah – if you don’t want to hear from us anymore call 1-855-210-9463 and we’ll stop. But if you’re tired of Republican candidates who flip-flop and lie and aren’t real conservatives, you should consider Herman Cain. “When you get to life, liberty and the pursuit of happiness [in the Declaration of Independence], keep reading. Because it says when any form of government becomes destructive of those ideals, it is the right of the people to alter or abolish it. If you’d like to see a true conservative in the White House, please press 1 now to join the campaign. Please press 1 now . . . please press 1 now . . . please press 1 now . . .
At which point the hardworking staff hung up. This entry was posted in Uncategorized and tagged altering and abolishing, Declaration of Independence, Herman Cain, robocalls, The Dialinator. Bookmark the permalink. 2 Responses to Herman Cain Called Our House! I called 855.210.9463 to have my name deleted from their call list as per their instructions from the original unsolicited call. It asked that I enter the number I wished deleted; my home number. I entered it and after the number was repeated for confirmation i had to correct it. After more than three attempts I became suspicious that I may have been kept on the line to run up my time on the call as a scam to increase the cost of the call creating a fraud or worse a campaign donation. I will need to await my bill to find out. Interesting, TC. Keep us posted, would you?